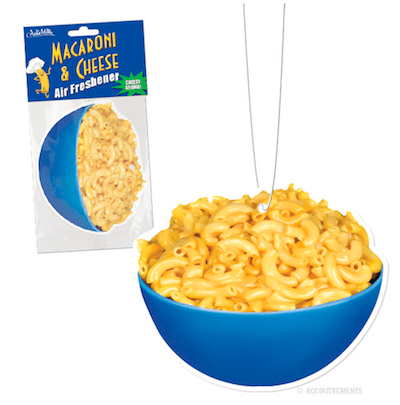 This unique air freshener will permeate any car or room with the delicious aroma of a heaping, gooey bowl of mac and cheese! 3" (7.6 cm) tall. String for hanging included.